I've been struggling today to find something green for today. Had it been white, I'd've been laughing as it's been so foggy here today. I'm using artistic licence today and posting a photo that matches the brief from my collection of photos that inspire me. 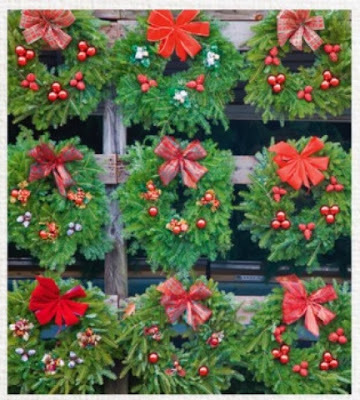 Wouldn't it be great to have a wall of wreaths like this?